Hello Guys, This is my first post here on The-Area51.com. From Today I'll keep posting quality tips and tutorials on various topics like Technology, Blogging, SEO, gadgets etc. Please support us. A password is a Secret code or Access code just like a key, which helps the server to Identify the user and gain access to his/her resources. The resources can be anything your Private messages, Emails, photos etc. which you don't want anyone to see. Why should we keep Password secret? As I said above, A password protects your resources and doesn't allow others to access it. So It is important to keep our password secret to keep our files and messages safe. If password is not secret then anyone can gain access to your files and email and can hack or use it against you. A Secret Password helps you protect your online privacy. Many people in my neighborhood and in friends circle say now and then that their account is hacked and someone is posting vulgar messages or pictures. This behavior spoils the image of person who is not actually doing it. My Intention in writing this post is to help you create a Safe password, so you'll have to face the above mentioned situations. 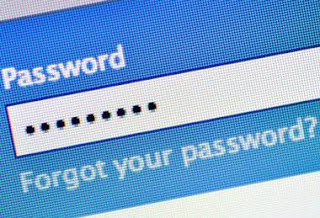 In this post I'll give you tips on How to create a safe password. First thing you should remember before choosing a password is, Never choose passwords which are guessable like Name, Telephone number, sibling name, parents name etc. and Your password should be at least 8 characters long. Make use of Both Upper and Lower case letters, Punctuation marks, Symbols like $, £, @, # etc. Use Numbers, Include phonetic replacements like 'Luv' instead of 'Love', 'Laf' instead or 'laugh', 'Luv 2 laf' instead of 'Love to laugh', 'fone' for 'phone' etc. Make use of similar substitutions like for number zero 0, use O and for S you can use dollar sign $, for L you can use pound sign £ or for a you can use @. A Password should be at least 8 Characters long to make it strong and secure. Mix these letters and create a unique acronym. Make password rememberable and Unguessable. Don't choose words mentioned in Dictionary, Never use passwords which include Names, birth dates, telephone numbers, Name of city/country etc. Never tell your password to your friends, relatives, siblings, parents, room mates, Parrots etc. Never write your password on books or at other places. Use of Name, Birthdate etc. Short length passwords below 6 characters.